History: Chapter IV was founded in Paris eleven years after the organization of The Colonial Dames of America. Historic Preservation: The chapter helped to create the Arboretum at the Franco-American museum of Blerancourt; the site is filled with American species for autumn colors and the four seasons garden, as well as memorial gardens. 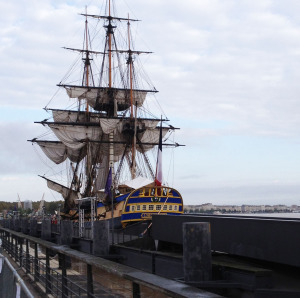 The chapter also supported the completion of the Hermione project, an exact replica of the frigate that took Lafayette to meet Washington. The maiden voyage occurred in 2015, tracing the historic itinerary.